Tire and wheel conveyor systems have some unique challenges due to the nature of the product being conveyed. 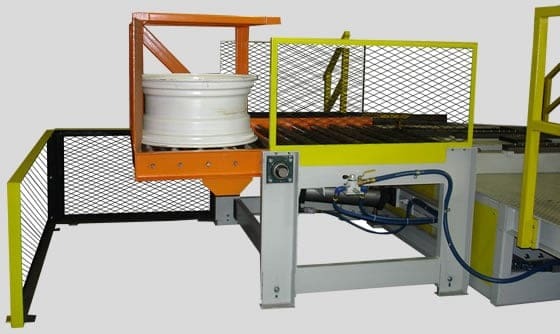 Through decades of accumulated experience, Ultimation’s engineering team have created innovative solutions for most all tire and wheel conveyor situations. 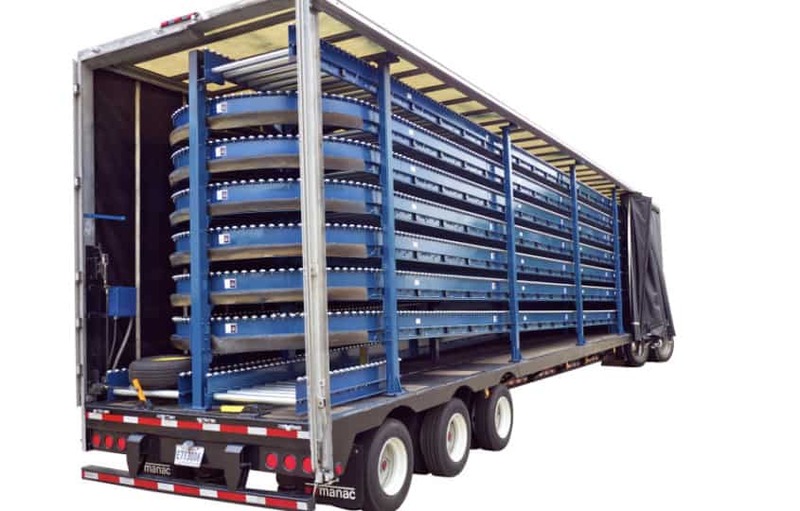 We have solutions for high volume assembly plants processing thousands of wheel/tire assemblies per day down to lower volume applications for lower volume and specialty niche producers. 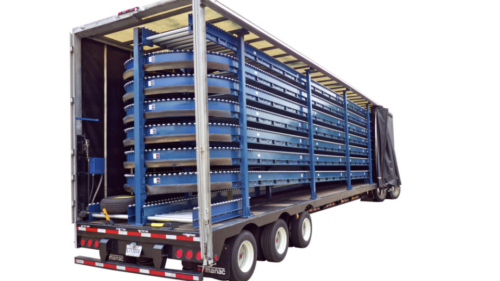 Ultimation designs and builds specialty tire and wheel trailer conveyor systems for conveying tire and wheel assemblies to the docks at the final assembly plant location. 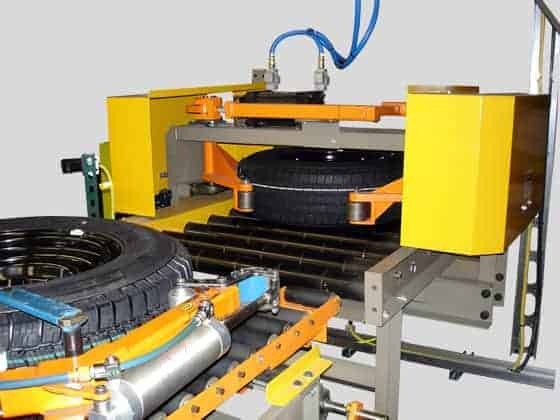 When tire and wheel assembly is outsourced, on-time delivery of tires and wheels to the assembly line is a major logistics challenge. 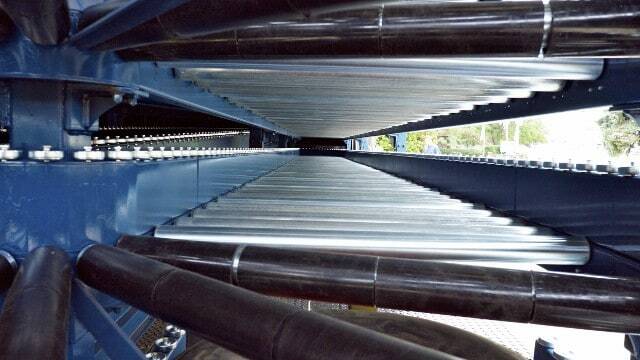 Ultimation’s tire and wheel trailer conveyor systems are in service at Ford and GM assembly plants. Ford Motor Company in Dearborn, MI recently took delivery of a new system for the all-new F-150. Applying the exact amount of soaping solution in the right locations is critical for optimal performance and safety of the vehicle. Our patented machines have high process capability. 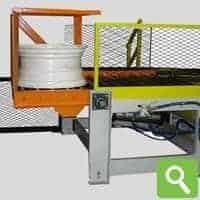 Moving wheel and tires using advanced conveyor systems is one of our core capabilities. Let us show you the various options available.